Prime Minister Binyamin Netanyahu said at the start of the cabinet meeting on Wednesday that Israel is determined to prevent Iran and its satellites from establishing military bases in Syria. "We are working firmly against these attempts, as well as against attempts to produce precision weapons in all arenas, close and far away. 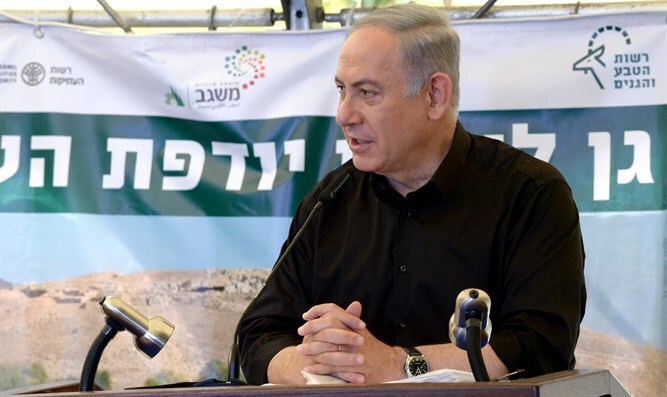 This is how we will continue to act for the security of Israel," Netanyahu said. "Israel is a rising world power, its economy is growing and flourishing, our foreign relations are flourishing, infrastructures are being built, life is good in Israel in all areas, tourism is at its peak. People simply feel that the country is on an upward path, that it is good to live in Israel - and therefore about 90% of the country's citizens say they are satisfied or very satisfied with living here. It makes us, temporarily, be satisfied. "We are not satisfied with this, we constantly want to improve and make it even better. Besides, we have another 11% that we need to reach. Therefore I want to wish all the citizens of Israel with a good and sweet new year, and that the next year will be successful like the previous one. Good year to you,” he added.